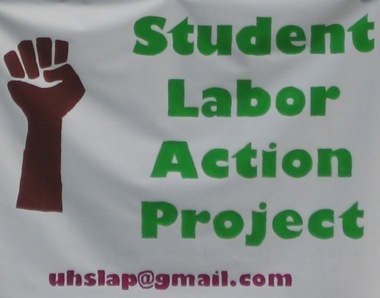 The Student Labor Action Project’s new banner posted in the UC Arbor. There are rumors that they are planning an action soon. This entry was posted in Student Labor Action Project. Bookmark the permalink.